Sponsored by Marian Baker and Islesford Pottery it’s time again for the super cool bi-annual fund raising silent auction to benefit the Islesford Neighborhood House. This year’s theme is, of course, lobstahs! If you’re anywhere near Little Cranberry Island you’d better plan on coming to the Islesford Dock tomorrow (Sunday, August 17) from 1 to 3 p.m. or you will miss out on seeing and bidding on some wacky and beautiful crustaceans. Who has had their hands in clay in the past few weeks? Who has been making lobsters from alternative materials? Who is bringing back the “Barbie Lobster?” Who will have the winning raffle ticket for Ashley’s lobster plate? 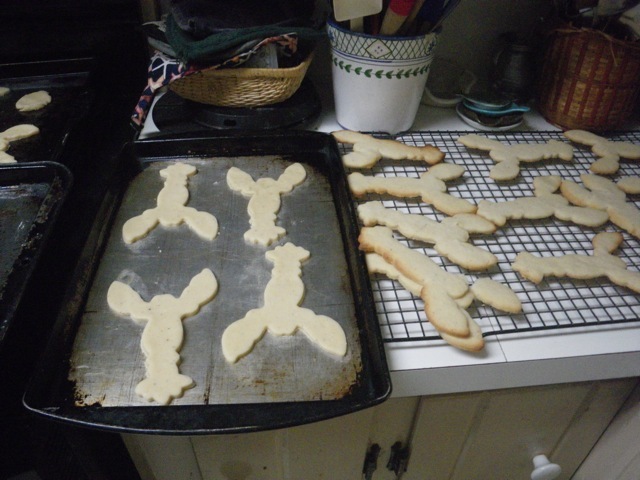 I can tell you who has been up late tonight making lobster cookies… The mug I’m contributing to the show is a collaborative piece. 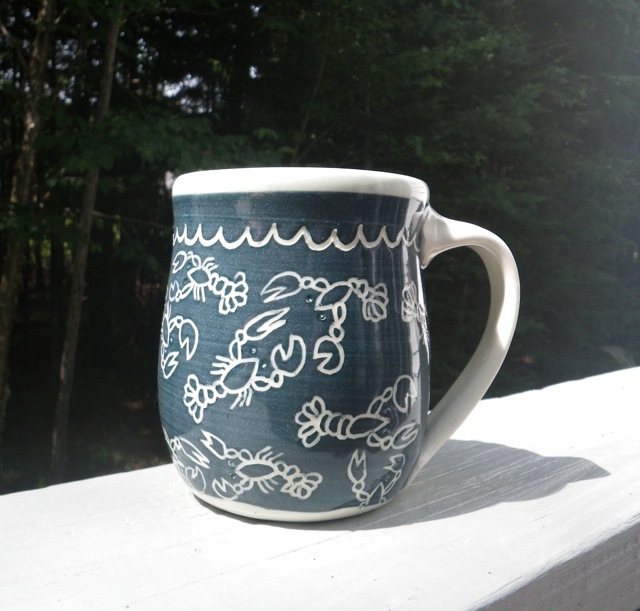 Marian made the mug and I did the lobster design. If you want to preview a few more pieces that will be in the show, check out the Islesford Pottery facebook page. See you on the dock!